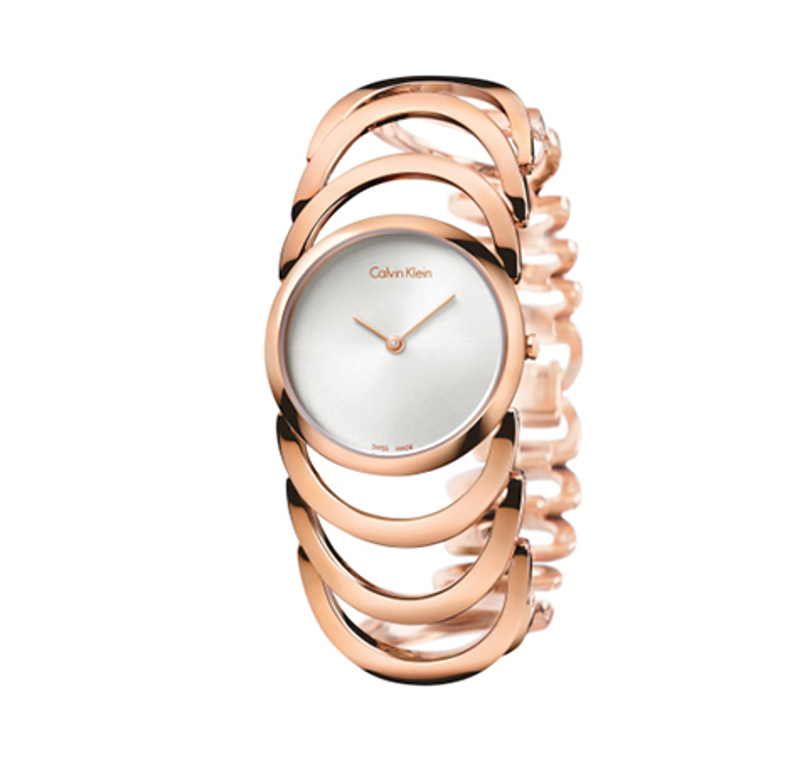 Calvin Klein recently showcased its latest range of Watches & Jewelry in Mumbai. Each and every piece was crafted with a lot of care and precision. The designs were very chic and minimal as well as trendy yet highly sophisticated. All the collections of both watches and jewelry undoubtedly were to die for, yet a few pieces stood out from the rest. We are calling them the 2015 Calvin Klein Style Heroes. Why? Because they will completely blow your mind. Take a look. 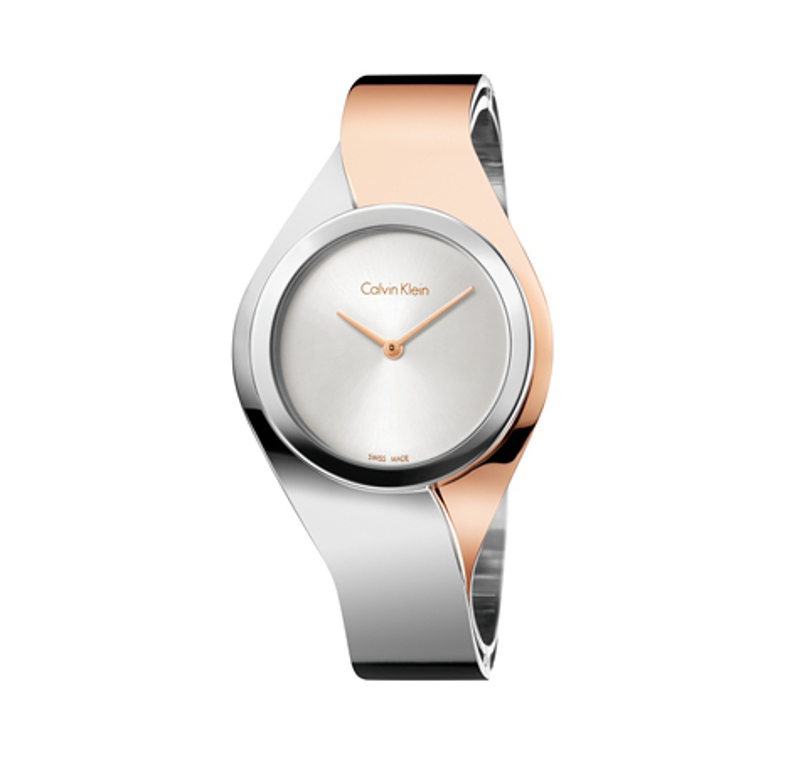 #1 The piece that tops our list is the Calvin Klein SENSES watch. Absoloutely stunning, this collection is inspired from dualities of everyday modern life. We absoloutely loved this one in silver combined with gold rose, just perfect to evoke your senses. 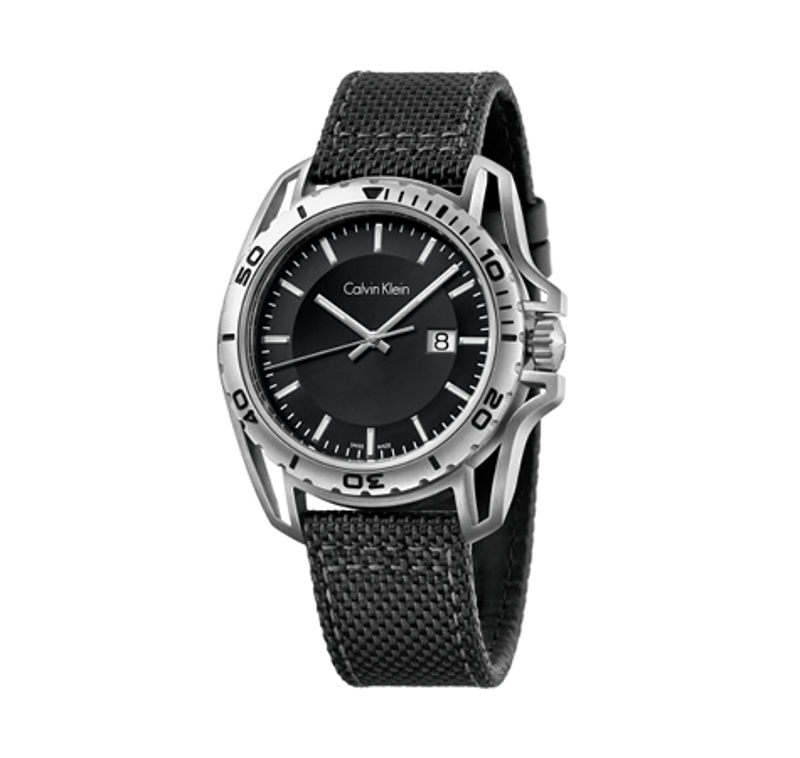 #2 Second on our list is this angular and futuristic watch Calvin Klein EDGE. Its modern with feminine glamour and the geometric forms add a lot of edge to this masterpiece. 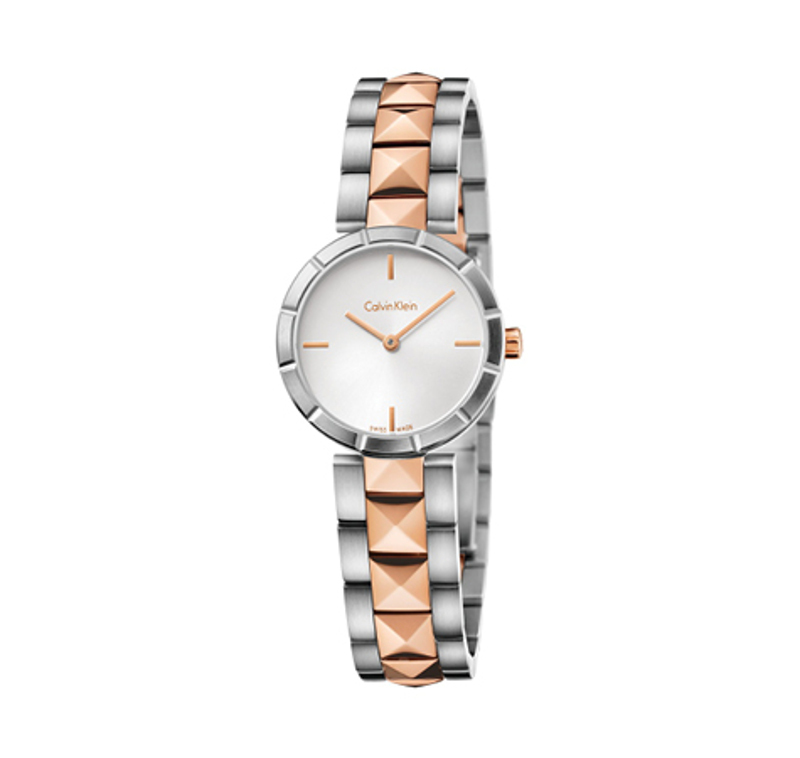 #3 Third on the list is this super glamorous and elegant watch. The bangle like design and the loops make this watch ultra feminine and we are anyway crushing over everything rose gold. #4 Fourth comes this stylish watch in python embossed leather. 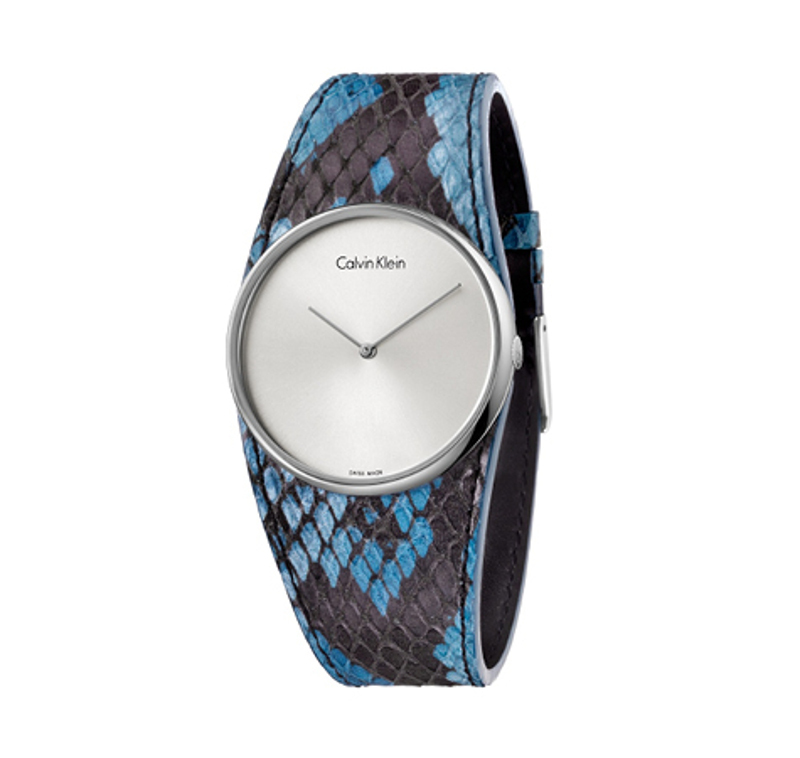 This Calvin Klein SPELLBOUND watch brings together python embossed leather in rich mineral-inspired tone with a bold silhouette for an impactful look. #5 The best thing about this watch is the boldness and the masculinity. This urban and refined timepiece carries a robust look and the silver accent makes it a perfect weekend watch. 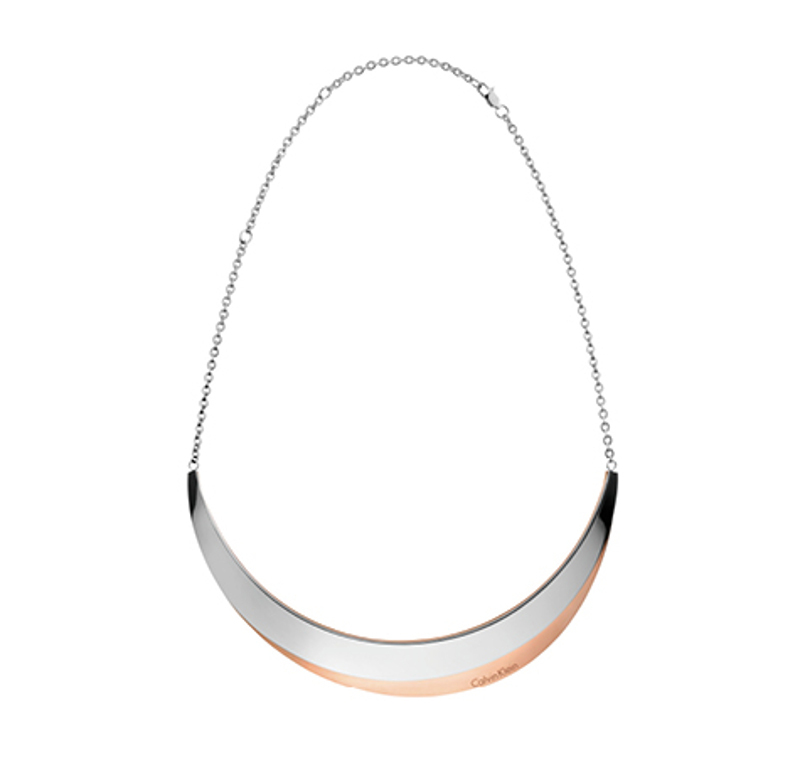 #6 We’ve just fallen head over heels for this luxurious piece of jewelry. 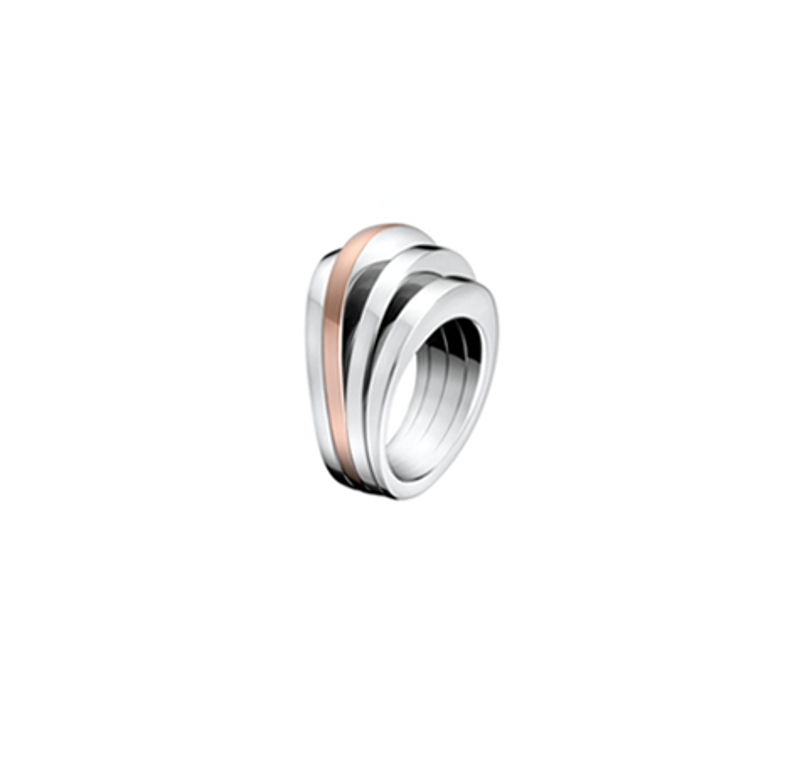 The minimal design in stainless steel with pink gold combines to makes for a powerful yet sophisticated statement. 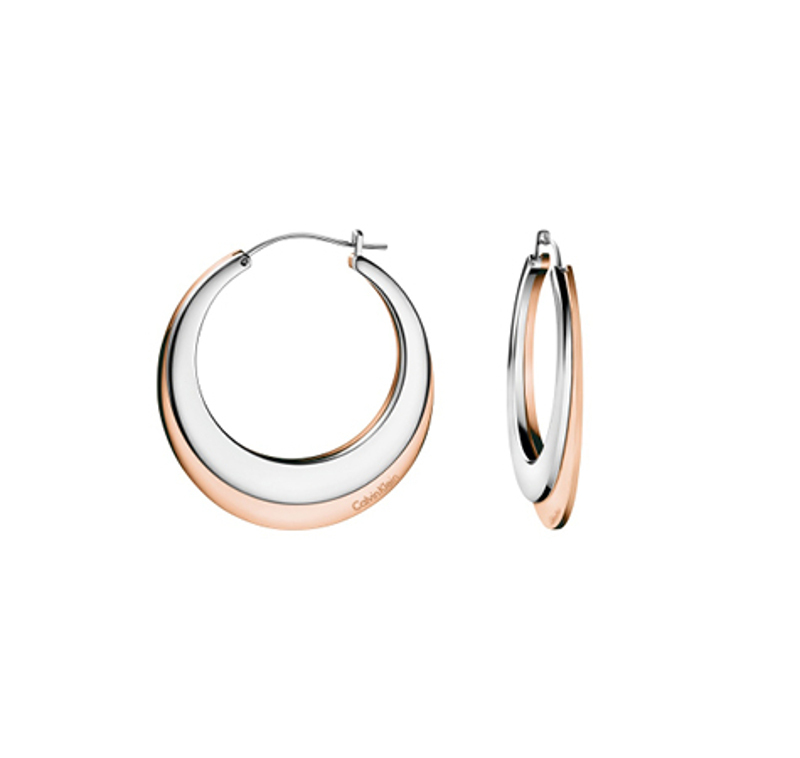 #7 You can give your style an added luxury touch with these elliptical pair of CK earrings in polished stainless steel and rose gold. Sleek. Elegant. Classy. #8 A very perfectly unique design, this ring speaks for itself. Its the perfect way to add luxury and style to your look. 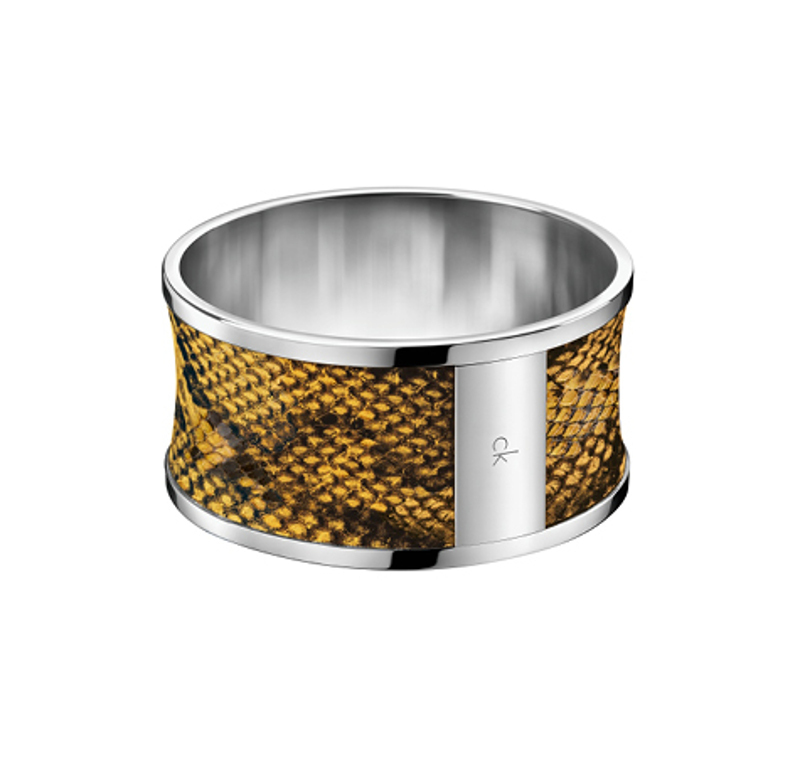 #9 This CK bangle in polished stainless steel and python embossed leather is a striking piece of jewelry. This one thing is completely capable of setting you apart from the crown. The best part is, this bangle is enough on its own to complete the look.